It’s been almost a year since D-day, I thought things would have been better, but it turns out that both WH and I are still stuck as if it happened just a couple of days ago and not months ago. I don’t know whether I will be called stupid by some of you, but I am currently 7 months pregnant.. yeah.. it seems that along the way of trying to fix things up, I got knocked up as well. I really wish I could move on.. but I don’t know where to start anymore, somehow, somewhere I got lost in all of the things that is in my head and in my heart. Right now, all I know is that I am stuck, and that no matter how hard I try, I still am stuck! I guess healing does take years. I will commit. I have been over thinking things and I have been trying to stop thinking. It’s making my brains mushed. Now, I know that I have to commit. I have to be committed in doing something right for myself. If I don’t want to forget then I will commit to that, or if I t to move on, then I should also commit to that. I make a commitment today, to move on and give my husband another chance. I commit myself to fixing this marriage and our relationship. It shouldn’t matter now who’s giving more input or who’s doing more as of the moment. The only thing that should matter now is that we are both still here, nobody left and he wants to be healed as well. I want to heal as well. We both need this. I need to commit to be positive. The pictures that I’ve put here in the post are the things that I’ve trying to tell myself. All I’ve ever wanted is a happy family and a happy marriage. I will keep on reaching for my fairy tale marriage until I’ve reached it. They say that when reality bites, the fairy tale ends, most especially in marriages. But I will refuse to believe that, I will stand steadfast on my belief that given the right recipe, I can put my marriage back to its fairy tale state. I commit to doing that. I will no longer entertain the negative thoughts that plagues my heart and makes me doubt myself. I will be confident in myself and would no longer seek reassurance from others. Not even from DH. I will need to reassure myself from day to day that I am doing the right thing, and if it makes me happy, I will continue to do it. I don’t need his approval or validation to know that I am happy. I should know my own heart and I should trust my own judgement. I believe that if I gather enough positivity, I can eventually pull him back to a positive relationship. He will eventually see the light. he will eventually find his happiness with me and our daughter, and if he doesn’t, then I am no longer responsible for how he feels. I can only be responsible for how I feel. I will no longer hold him responsible for the way I feel either. I am committed to making me and my daughter happy. I commit to bringing happiness back in my family. I will no longer be afraid again to try the things that will make me happy. I am no longer afraid to be strong because being that is the only option presented to me at the moment. I COMMIT, and it starts today. It’s been a month since D-day.. It feels like a year already.. Looking at it, I’m way too far from the 2 year earmark that most of the betrayed spouses wrote about. I still read a lot, I talked to DH a lot.. I won’t lie about it, there are still days that make me think twice why I stayed, but then, I overcome those with positive thoughts. Given that thought, I now begin to feel that I have hope on fixing my broken marriage. I can get back my fairy tale marriage with my prince charming, my DH. I am positive that I do love the man, with all that he is and with all that we have. 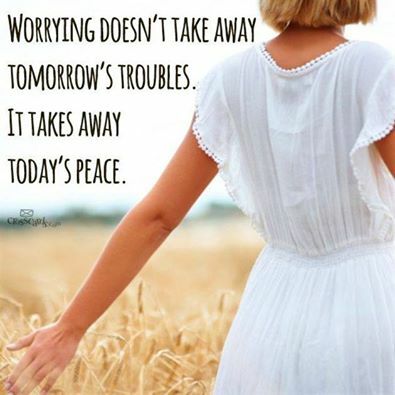 I can leave my worries behind for now, and find my peace today because I look in myself and know what I want. I want a happy life, I choose to be happy, I choose to have a happy family and a healthy relationship with my wayward spouse. Even if he was a wayward, I still love him to the moon and back, and that is something that I can not explain except that perhaps this is what it means to love unconditionally.